A new webinar video has surfaced, in which Steorn CEO Shaun McCarthy appears to be talking privately with shareholders, and discussing Steorn’s technology and plans in much greater depth than he did in yesterday’s public webinar. The video can be found here, but because it appears to be intended for a private audience of shareholders, there’s no guarantee that it will remain accessible at that address for long. Below I’ve summarized the major points. 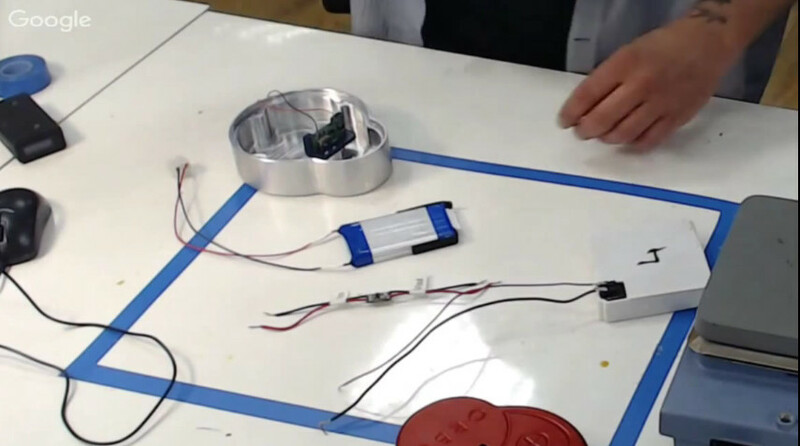 Shaun showed the internal components of a PowerCube, described how the energy generating Orbo power pack works, and even demonstrated the process of manufacturing a simple device of this kind. The Orbo battery (or power pack) is made up of three components: two dissimilar metals and a layer of chemical gel that sits between them. The two metals can be sheets, or “basically any physical format”. Shaun compares the resulting combination of components to a galvanic cell. However, in a galvanic cell, the chemical agent would be chemically eroding the other components; but in the Orbo battery, the chemical layer is completely inert and has no chemical interactions with the magnets. The process of producing an Orbo battery involves taking these three layers, two dissimilar metals separated by a chemical (the formula of which is “not that simple”), heating them up to just beyond the melting point of the chemical, and then very slowly cooling them, which allows the chemical gel to retain an electric field that is impressed up it. The result is that a permanent electric field is “frozen” into the gel material, with positive and negative poles. This polarized electric field then interacts with the two dissimilar metals to generate an electric current, in a way that is analogous to how the magnetic fields in the “classic” perpetual motion machine Orbo interacted with one another to generate force. The electric field frozen into the gel material works in a way that parallels the frozen magnetic fields of permanent magnets. The term for a device with this sort of permanently frozen electric field is “electret“, a portmanteau of “electric” and “magnet”. Shaun holds up an older generation Orbo power pack. 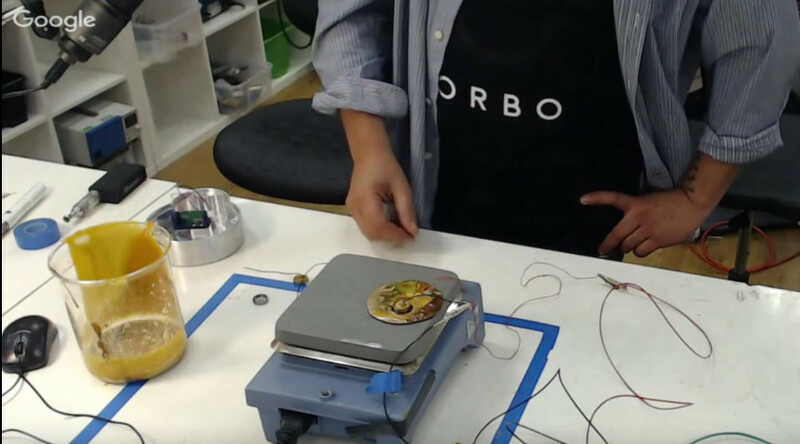 Demonstration of the process of manufacturing an Orbo battery. The beaker on the left contain the chemical used to separate the two magnets. The main challenge has been with increasing power density, the amount of power produced from a given weight or volume. Shaun demonstrated the process of combining the batteries with the chemical agent, melting them, and then cooling. He went on to state that “This is a really cheap, ugly demonstration, but the best way to understand the way these things are manufactured.” They’re currently being manufactured in China, using a much more automated and sophisticated process, he said. Increasing power density is all about manufacturing process, and Shaun is confident it can be increased further. After that they worked on heat output, and spun off a separate company, HephaHeat. They then ran out of money, and renegotiated with their shareholders: the Steorn Orbo Trust was established, and ownership of the company was split 50/50 between investors and those inside the company. Now, after having developed the solid state Orbo battery, and having increased its power density substantially over the past two years, they’ve decided to first place a product on the market, and to use that to create a better marketing position for themselves, which they can use to attract licensees for their technology. Shaun is convinced that, more important than patents, its the brand that will protect them. “60 to 70 percent of the value of a company is in the brand.” Shaun believes that by making their own way and becoming a well know brand like Apple, their product will be desired by name and remain successful even if it is copied by others. As discussed in the public webinar, Steorn’s first licensee will be Liquid Solutions, an Irish company, that will produce e-cigarettes incorporating the Orbo battery. What was only touched upon in the public webinar was the difficulty involved in this application. When Steorn began working with Liquid Solutions, e-cigarettes typically were 5 watt devices. Because they are only in use a fraction of the time, this placed them in a range that Orbo, with its low power density, could supply sufficient power for. However, since then, e-cigarettes have typically increased to 40 watts, and there is no more market for 5 watt devices. 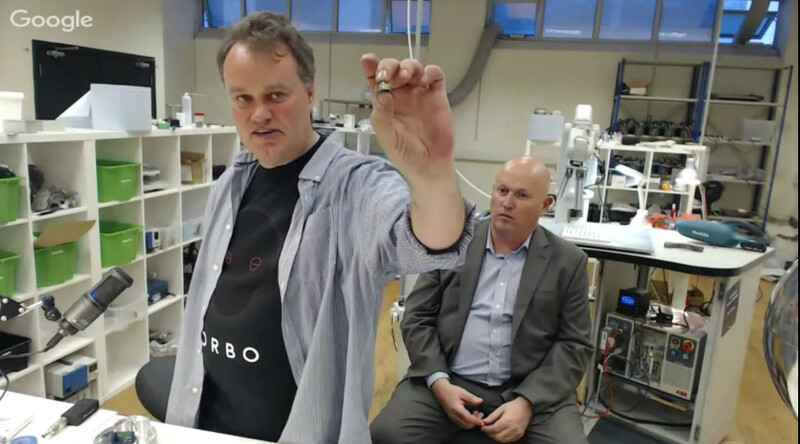 This leaves the fate of an Orbo powered e-cigarette up in the air for now, with a consortium of companies having been formed to tackle the problem and design an e-cigarette around Orbo. “Yes, we’ve already had people pay for it, and they’re on pre-order.” Of the 1000 that they currently have, they’re only selling 700, in order to have replacements in stock should they be needed. Shaun expects Steorn to make a small profit this year, followed by a bigger profit next year. If the PowerCube product takes off, then beyond the initial 50,000 Steorn will license the manufacturing to someone else. Asked whether Steorn will offer repairs for the PowerCube, Shaun said that “The people who are going to be buying these are going to be taking them apart, ripping them apart. So no, we will not be offering repair services. Components of a PowerCube. The large white box is the Orbo power pack, and its output is connected to a regulator. The silver and blue box is a lithium ion battery. In the case is the USB electronics. 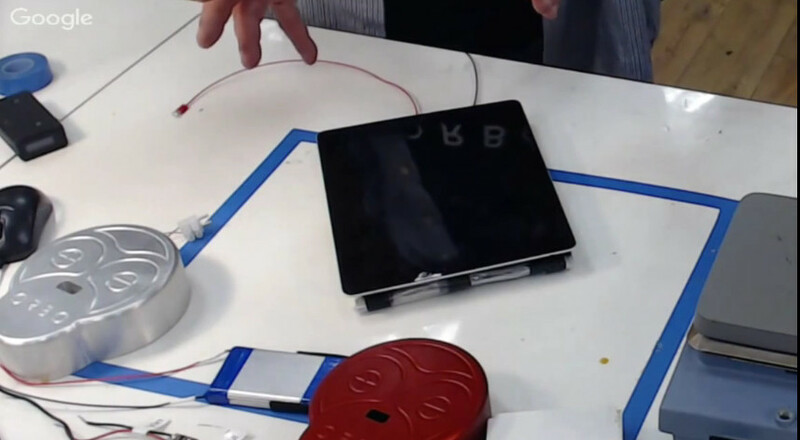 Steorn has been working on an iPhone battery, and has an iPad charger currently in testing. Shaun emphasizes that “we don’t want to manufacture iPhone covers or anything like that… the only reason we will do that is to put pressure on the industry to do business” with Steorn. Shaun demonstrated the iPad charger, which is built into a folder-type case. “This will keep your iPad, for normal use I should say, pretty much pumped up.” The advantage with the iPad, versus the iPhone, is that there’s a lot more room to work with, which plays to the Orbo’s weakness of low power density. A prototype iPad charging case, with iPad attached. “The way we market it will be viral, will probably upset and confuse quite a few people.” The Orbo will be marketed with an entirely viral marketing campaign, involving no advertisements, and no web site. “It’s that lack of existence that will drive social media crazy.” Hmmm… as I blog about the contents of this video that surfaced mysteriously, I almost wonder if this is their viral marketing in action. One shareholder asked if they could each be given a PowerCube. Shaun responded that there are 600 shareholders, and production of each PowerCube costs 500 Euros, so this would not make sense financially. – Corrected caption of first image: Shaun is showing an older battery, not a magnet. – The Orbo is composed of two dissimilar metals, not magnets. – It is the chemical gel that has a permanent electric field frozen into it upon cooling, not the metal components.